Over the last decade, technology has enabled building the most efficient businesses in history. Building an automated, electronic brokerage from the ground up allows Robinhood to eliminate the costly touchpoints where other brokerages require human intervention or paper receipts. Rather than relying on primetime advertisements and costly brick-and-mortar storefronts, Robinhood maintains a lean bottom-line, allowing it to attract and retain customers far more cheaply. 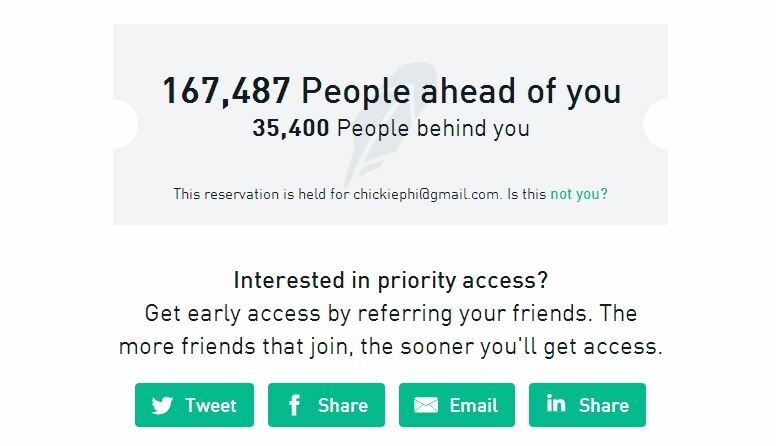 As of this writing, there were at least 200,000 users waiting for a spot. If you’re interested, you should add your name to the very long queue, and soon.